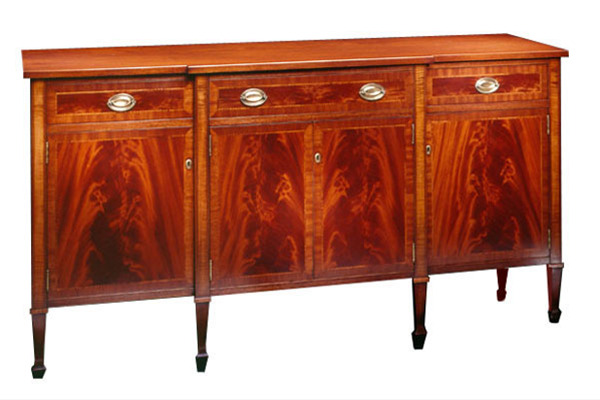 This is a classic federal style sideboard in mahogany, curly maple, and crotch mahogany veneer, with antiqued brass hardware. It was designed to include stereo equipment and CD storage in addition to traditional items. I have taken the form and altered the shape of the front to a curve and substituted the formal mahogany for natural cherry and repeated the form many times. There are other examples of this design in this category, some made from the same drawing, with different woods, creating a completely different feeling piece.